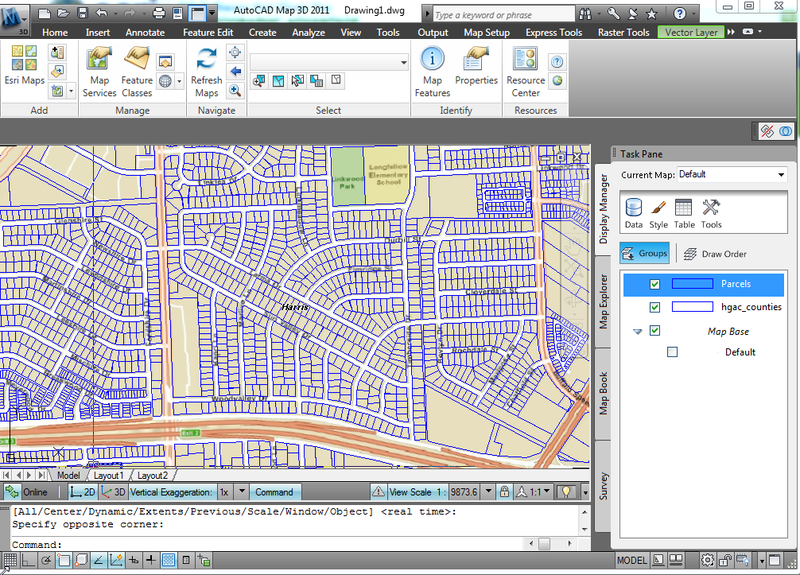 ESRI has released ArcGIS for AutoCAD 2010 and 2011. They also have 32 and 64 bit versions. I’ve tested this application on 64 bit with AutoCAD 2011, AutoCAD Map 3D 2011, and Civil 3D 2011. 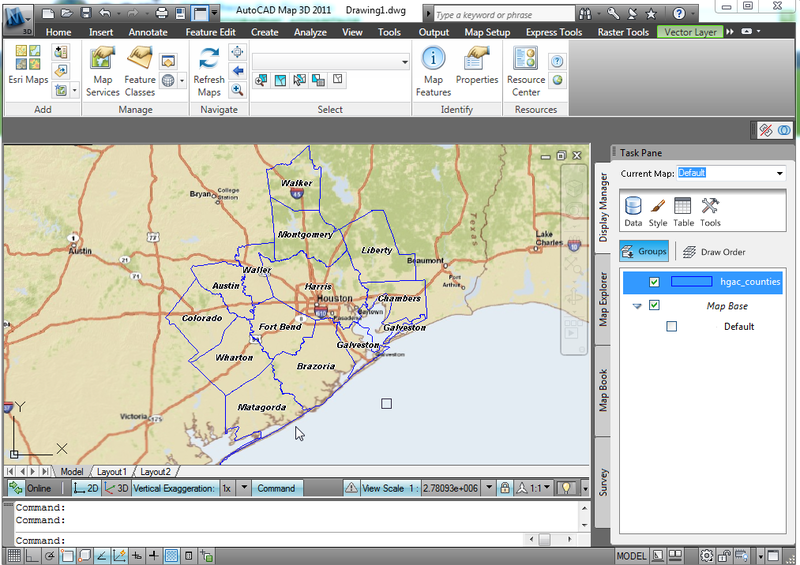 It adds a (ArcGIS for AutoCAD) ribbon tab to existing workspaces. I overlaid some vector parcel data and the two lined up reasonably well. 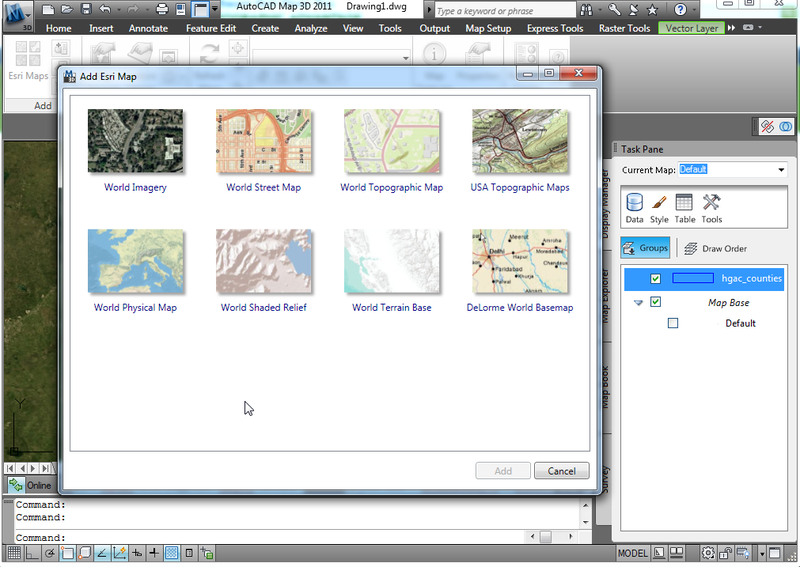 ArcGIS Online offers eight different World maps you can add. 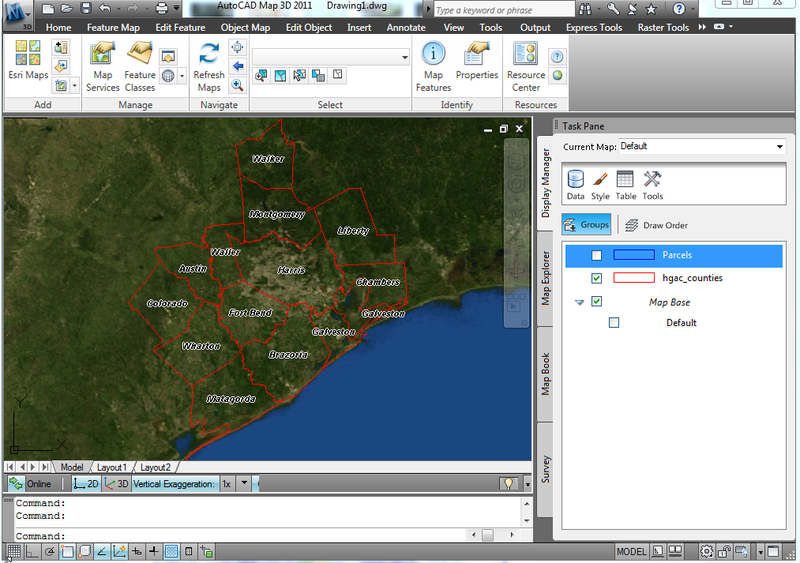 It is also compatible with ArcGIS Server 9.3 and above. Below are some screenshots and a link where you can download and install the correct version for you. The download link below also has installation instructions. I received a phone call yesterday with an error message saying “Model Operation Error: Missing Logical in Restore File”. This is the first call I have received with this problem. What happens is when you open the Civil 3D drawing, you receive the Model Operation Error and it freezes the whole machine. After consulting with Autodesk, it seems the ONLY fix is to open the drawing in Map 3D 2011. The drawing will then open up fine. You will be able to Audit and save. Once the drawing is saved, you can then open it back up in Civil 3D with no problems. It’s here!! AutoCAD for Mac has been released. You can download the trial version at http://www.autodesk.com/autocadformac. Read about it here in the Press Release. Students can down AutoCAD for Mac for free from the Autodesk Education Community. There are over 25 products that students can download and use free for 3 years. Don’t forget to check out the free AutoCAD WS Mobile for your iPhones and iPads. 1. Type WSCURRENT in the command line. 2. When prompted, type Civil 3D. 3. Wait! You will see the workspace reload. 4. Next, type WSSAVE and overwrite the Civil 3D workspace. Once you reopen the application, the Ribbon will display as expected.